St. Simons Island is near and dear to so many people. Everyday we realize that we’re blessed to call this charming Island home but we recognize that not everyone who feels home here lives here. 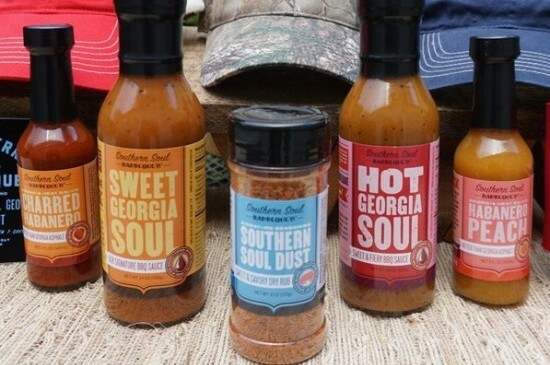 With Christmas on its way, we’ve rounded up some of our favorite local gifts that can be ordered, shipped, and enjoyed almost anywhere you may be. 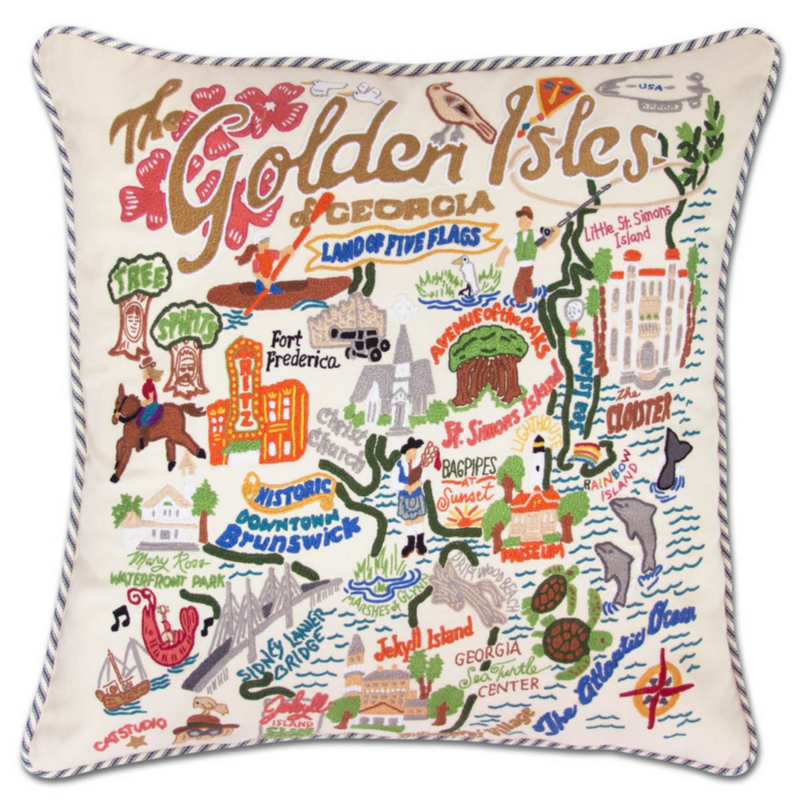 Here’s our guide to gifting the Golden Isles this holiday season! Located in Redfern Village, this adorable shop carries a little bit of everything! 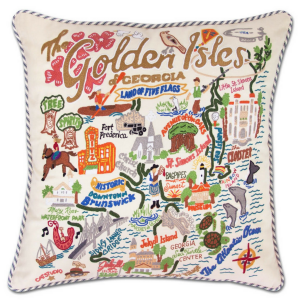 Click here to see more, or here to purchase the pillow. Visit their shop on SSI (next door to Crab Daddy’s) or peruse their Facebook page here. 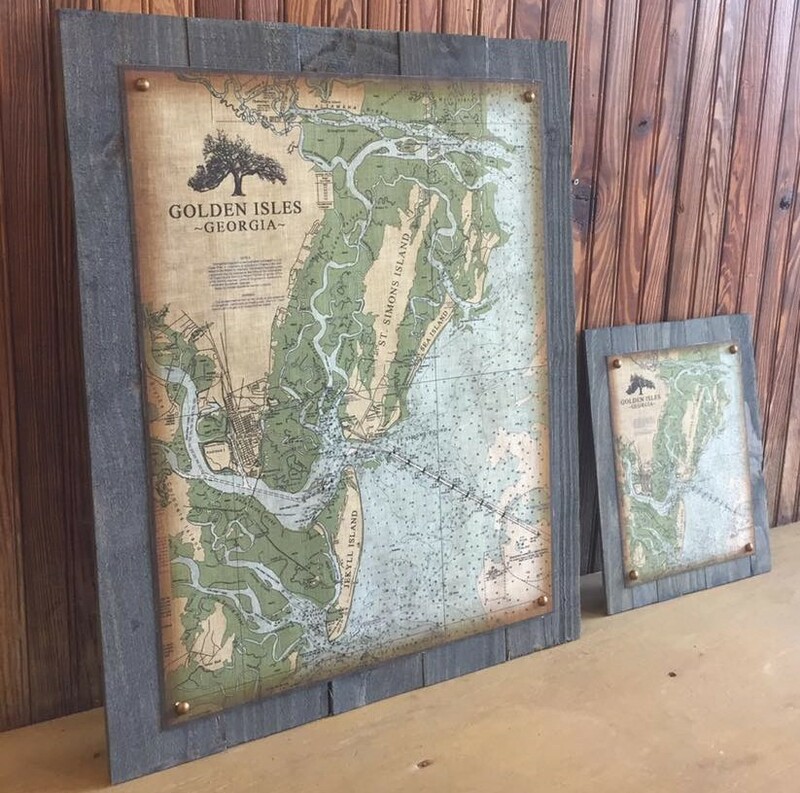 Of course they have tons of super cool stained glass that they make, but they also carry super nifty gifts like these maps made of slatted wood frames overlaid with hand printed linen of local images. Owned by a local family and located in the Pier Village on St. Simons Island. 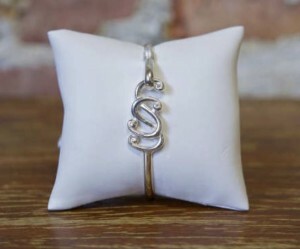 Click here to see more or here to purchase the St. Simons bracelet. A favorite amongst tourists, locals and Diners, Drive Ins, and Dives. 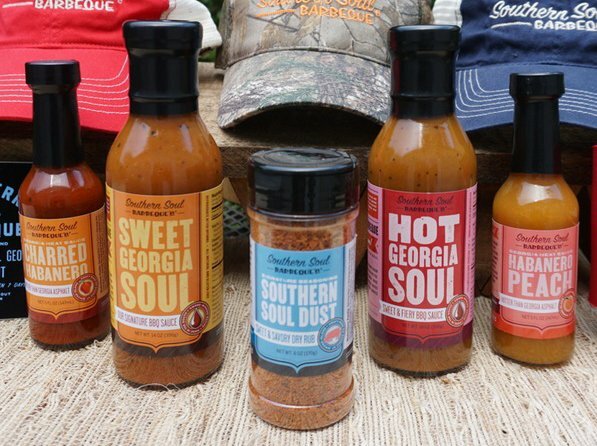 Click here to see more goodies (hats, shirts, seasonal smoke house bacon, etc. ), or here to get the sauce. This treasured Island location is a must and is a great addition to our gift list. If you don’t have memories climbing the 129 steps, then you definitely need to make a trip back. When you do, we suggest you go ahead and commemorate that visit with one of our favorites. To purchase: the Lighthouse ornament can be found in their Gift Shop at the AW Jones Heritage Center. Each year, hundreds of people visit the Resort to take photos with the enormous and impeccably decorated Christmas tree in the Resort’s lobby. 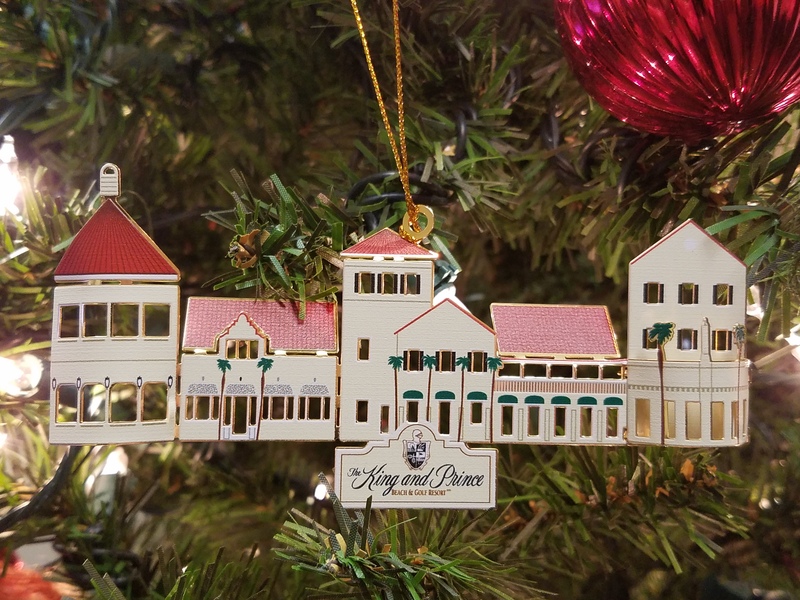 What better way to commemorate that tradition than an ornament depicting the iconic oceanfront Resort? Stop by the Gift Shop in the lobby (when you take your annual photo) or click here. What better way to enjoy the Golden Isles than by proudly displaying the logo on your shirt? This gift is perfect for everyone! 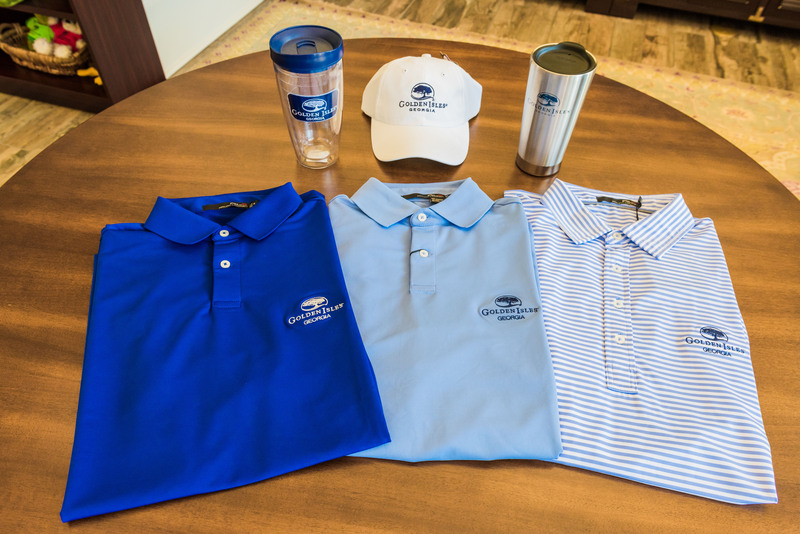 Currently, these items can only be purchased in person at our local Convention & Visitors Bureau on Beachview, but be on the lookout because word is they will be getting an online gift shop in 2018! This book is a wonderful gift as it features the history of St. Simons Island paired with breathtaking photography. Purchase from our local bookstore, G.J. Ford, or online here. 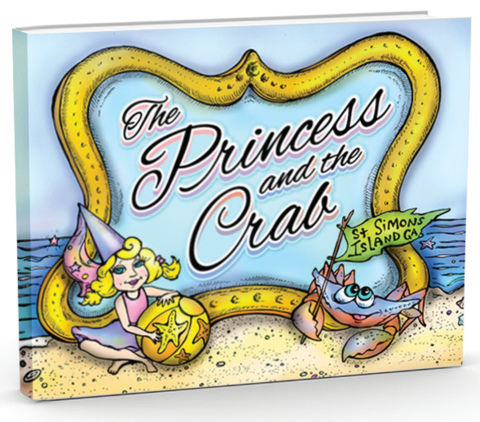 This children’s book, written by Grace Sturdivant and illustrated by local artist, Ed Hose, includes 48 pages of delight weaving The King and Prince Beach & Golf Resort, our coast, and St. Simons Island’s history into the narrative. 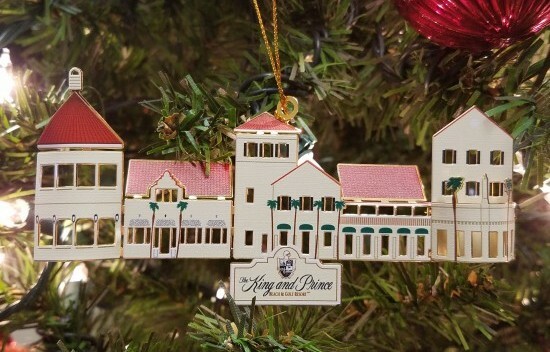 This can be purchased in The King and Prince Resort’s Gift Shop or online here. This entry was posted on Saturday, November 3rd, 2018 at 9:19 am	and is filed under Area Events and Info, Around the Resort. You can follow any responses to this entry through the RSS 2.0 feed. Responses are currently closed, but you can trackback from your own site.